Concerned it fell behind in other mobility trends, Japan wants a leading role in building flying cars. TOKYO — Japan wants to commercialize flying vehicles as early as the 2020s through a government- backed campaign that already has recruited the likes of Subaru, Uber and Boeing. The country's powerful Ministry of Economy, Trade and Industry launched the project last month with a meeting that pulled together public agencies and private industry. The flight of fancy comes amid Japan's concern that its auto industry was caught flat-footed in other emerging global technology trends such as autonomous driving and ride-hailing. The government wants Japan to have a leading role when it comes to personal flying vehicles. "Globally, there is a growing interest in what is called 'flying cars' that will enable such transportation services in the sky," the trade ministry said in a statement after the first meeting. "Japan, too, aims to achieve speedier and more convenient transportation services for people and goods, while trying to create a new industry that can be competitive and profitable in world markets." 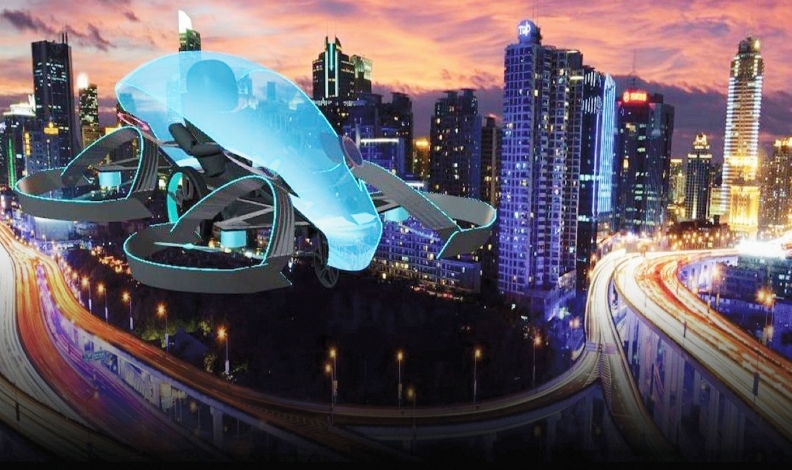 While the proposal for flying cars has sent Japanese imagination fluttering, the concept envisioned by most hopefuls is less like a highway-safe automobile and more akin to a glorified drone — with helicopterlike rotors and room for only one or two people. The ministry's Japanese-language documents call it a flying kuruma, the Japanese word for car. But its English- language materials typically use a blander phrase: "future air mobility." "It is not actually a car," ministry official Hiroyuki Ushijima said. "It is more of a mobility service." Nonetheless, the idea is gripping imaginations worldwide, and Japan seems loath to be left out. In Europe, aeronautical giant Airbus has partnered with Audi and Italdesign to create the Pop.Up concept, a vision of autonomous, electric urban air mobility. Luxury sports car maker Aston Martin has its own three-seat hybrid-electric personal podcraft concept. 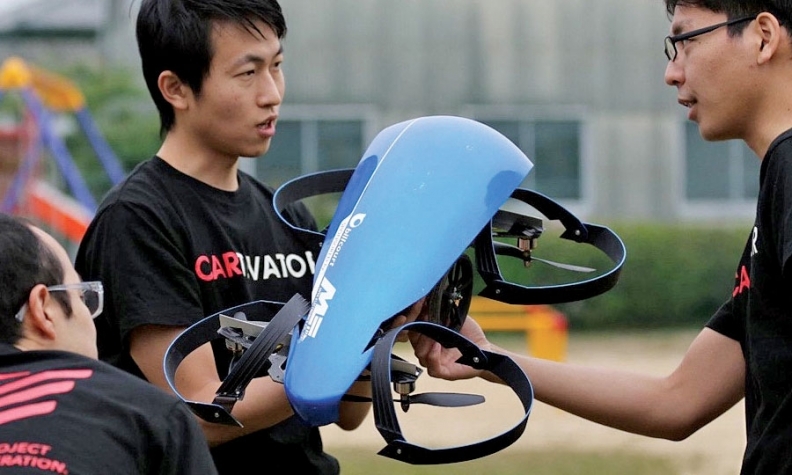 Cartivator, a volunteer-based project in Japan, hopes to build a flying car with the backing of several companies, including Toyota and Panasonic. Chinese carmaker Zhejiang Geely Holding Group, the parent company of Volvo, has bought the U.S. flying car startup Terrafugia. And Uber Technologies is floating the idea of launching its own flying taxi service, called UberAir. Uber has proposed starting demo flights in 2020. The Japanese hope to flesh out a road map for flying cars in this country by the end of the year. Several of the private companies taking part want to commercialize such services in the 2020s, but the government hasn't settled on a timeline, Ushijima said. The government sees benefits in relieving traffic congestion, improving mobility for people living in remote, mountainous areas and isolated islands, and in aiding disaster relief. Tokyo is organizing the push with an industry forum called the Public-Private Conference for Future Air Mobility. The goal is to brainstorm what kind of technology and regulations are needed. In the mix are some familiar names such as Uber Japan, Airbus Japan, Boeing Japan and Subaru Corp., which is participating in its capacity as a maker of aircraft in addition to automobiles. Among Subaru's aerospace products are attack helicopters for Japan's defense forces. 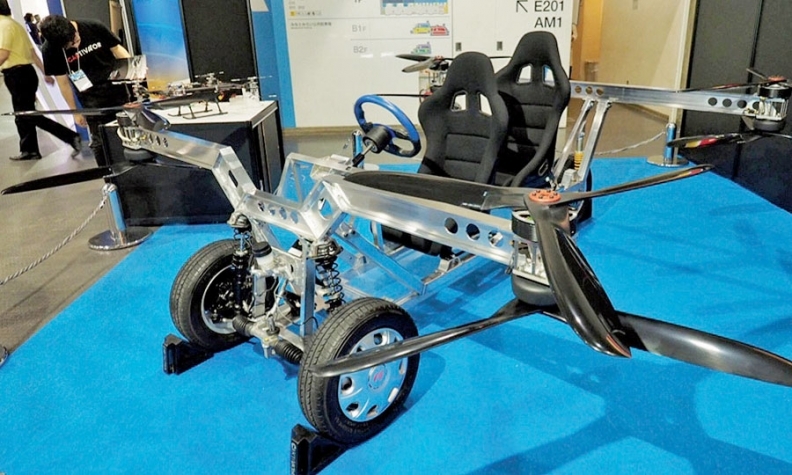 Other participants include Japan Airlines, All Nippon Airways, NEC Corp. and a clutch of Japanese drone makers, including one called Cartivator, which aspires to build a flying car with the backing of several companies including Toyota, Panasonic, Fujitsu, Aisin Seiki and Denso.